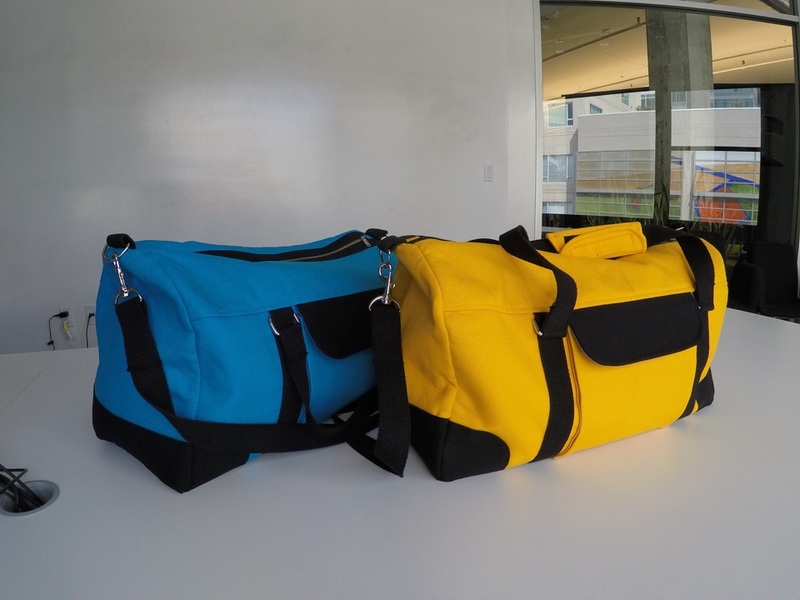 I thought my previous article in the Weekend Duffel series, showing the finished product, was the end of it. I have just started this course, am on the second or third video now … the bag looks HARD and I can see it will be a challenge for me. I’ve never understood sewists who shy away from certain types of projects altogether because they appear too difficult. I like to undertake difficult projects, because I learn new skills, improve old ones, and I have a sense of satisfaction when the job is done. And even if I fail, the project is not a waste because i have learned something. This entry was posted in Bags and Cases and tagged Weekend Duffel on March 29, 2015 by mportuesisf. At long last, my Weekend Duffel Project has come to an end. Actually, I finished them last weekend. This entry was posted in Bags and Cases, Completed Projects and tagged Weekend Duffel on March 22, 2015 by mportuesisf.